Clean lines and detailed corners give this bedding sophistication and style. Applique lines and monogram are in sateen tape. 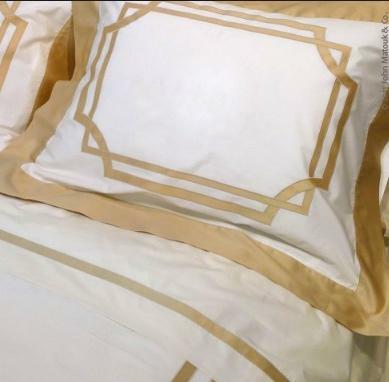 Made in luxurious 600 thread count Egyptian cotton woven in Italy. Our main image is shown with white sheeting and honey trim. 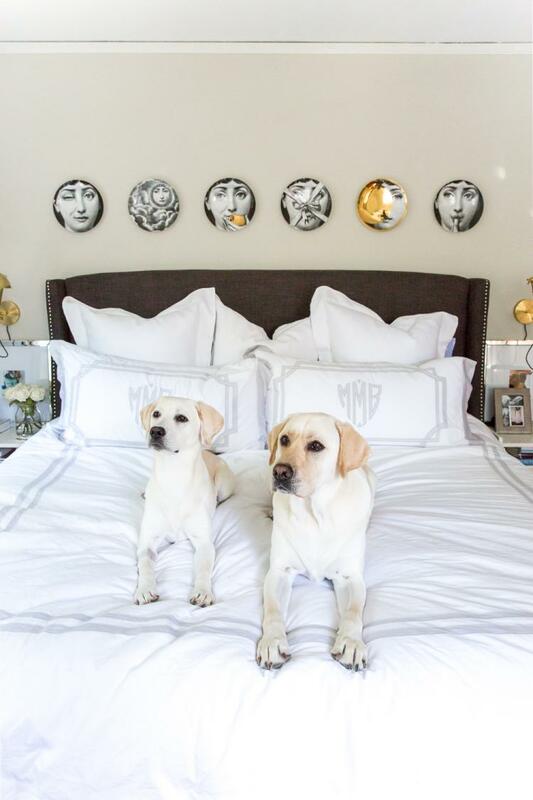 We love the look of Three Euro Shams, 2 monogrammed cases and a monogrammed Duvet cover to complete the look above. 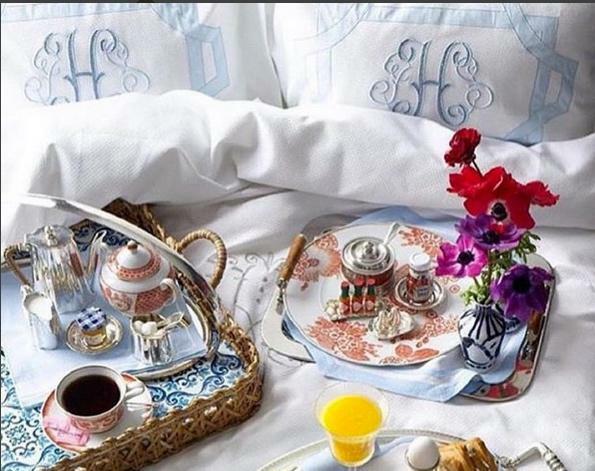 Matouk will us the Nocturine tape for appliques on this bedding. We will use the tape trim chosen for the bedding to do the monograms unless you specify other wise in the comment section. You may choose the embroidery style for your monogram. If so we will match the threads to the tape trim chosen in the order. For example if you choose the Honey as your trim and choose the monogrammed shams we will do the monogram in the Honey tape trim.